ACM’s wet etching systems use chemical action to remove excess Under Bump Metalization (UBM) from wafers. Etching processes often go too far in an attempt to ensure that all the intended metal is removed; however, that can cause undercutting of the bump, which is not desirable. The ACM wet etchers is designed to precisely control the process and avoid undercutting while ensuring a uniform etch of the desired wafer areas. In etching, uniformity control is very important, so ACM’s wet etching systems constantly aim to maintain the smallest possible total thickness variation (TTV) — a measurement of the thickest minus the thinnest parts of the wafer. That control comes in part from the precise sensing of chemical temperature, which affects etch rate. If a temperature is not correct the machine will do a pre-flush, pushing the chemical back into the tank for temperature adjustment. This pre-flush system helps keep costs down as well as controlling chemical temperatures. A further part of etch control comes from the tool’s Nozzle Scan system which enables precise control of the nozzle, allowing it to move and create more uniform etching. The Nozzle Scan system gives users significant flexibility and control of the etching process. With the ability to program the speed and movement range of the nozzle the user can adjust for wafer thickness and other process specifics. 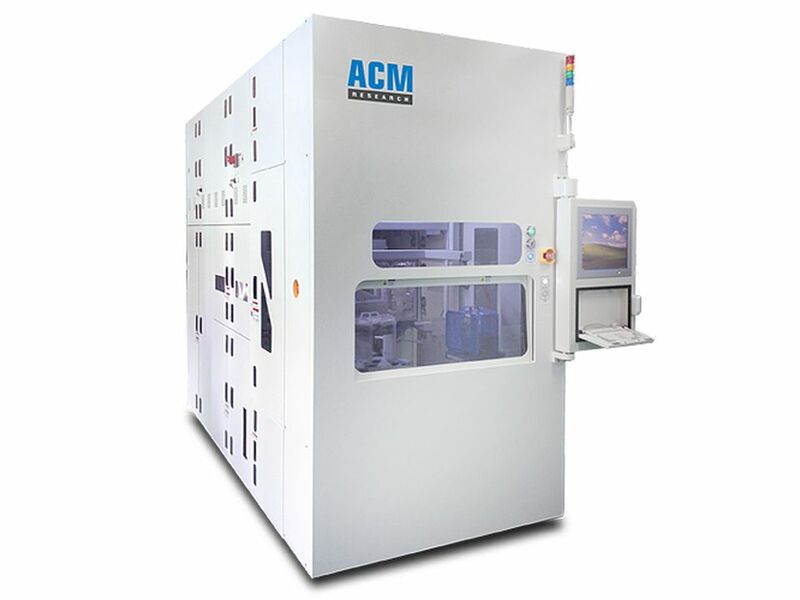 ACM’s wet etching systems contain powerful modules such as high-precision wafer transfer systems, a superior fan filter & exhaust unit, and independent control of the process environment for each chamber. All of these modules are simple to use while providing high quality processes and a very uniform clean. Combined with customizable software, the tool easily integrates into production lines. Our tools contain state-of-the-art chemical temperature and flow rate control systems. This ensures that chemicals are released at the precisely correct amount and at the desired temperature throughout the process. We are able to provide a controlled flow rate that is within +/- 0.3 LPM of the desired rate and within +/-0.5 Celsius of the desired temperature. ACM is committed to helping protect our world’s environment. Hence, all our machines are fitted with a chemical recycle and filter systems that reuse chemicals and decrease waste — and also decrease the user’s costs. To ensure the safety of operators, ACM’s wet etching systems use secure, well-fitted seals, ensuring that evaporated chemicals do not escape and are properly channeled through our Fan Filter and Exhaust system.